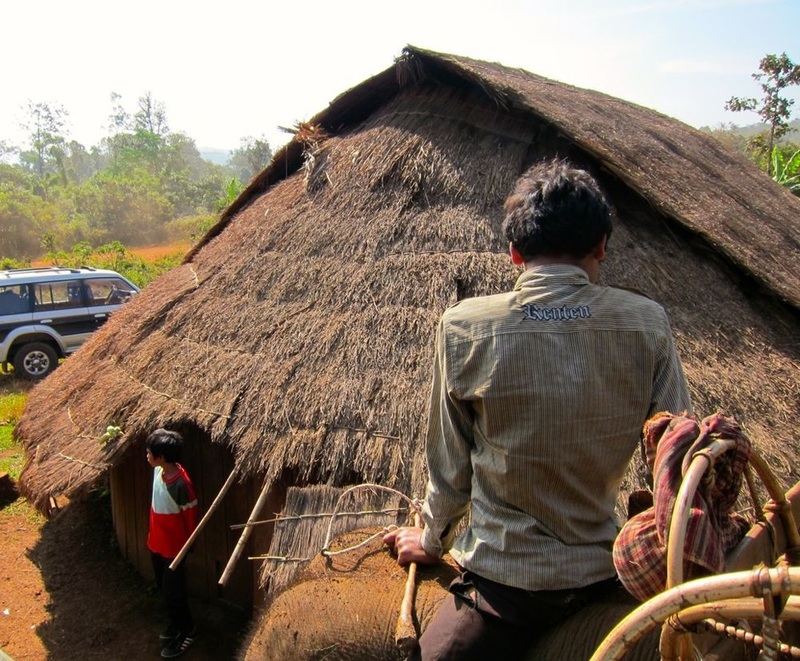 Mondulkiri is Cambodia's wild west, its hill station. It is as different from the southern Provinces and cities as Tibet is from Shanghai. ​Jungles and plantations. Jungle trails, hills and indigenous people. Cool, cool weather and mountains (Ok..serious hills). Not much electricity and one great road. This is adventure country and the heart of elephant trekking. Travel to Mondulkiri has just become easier now that the new highway is in place. 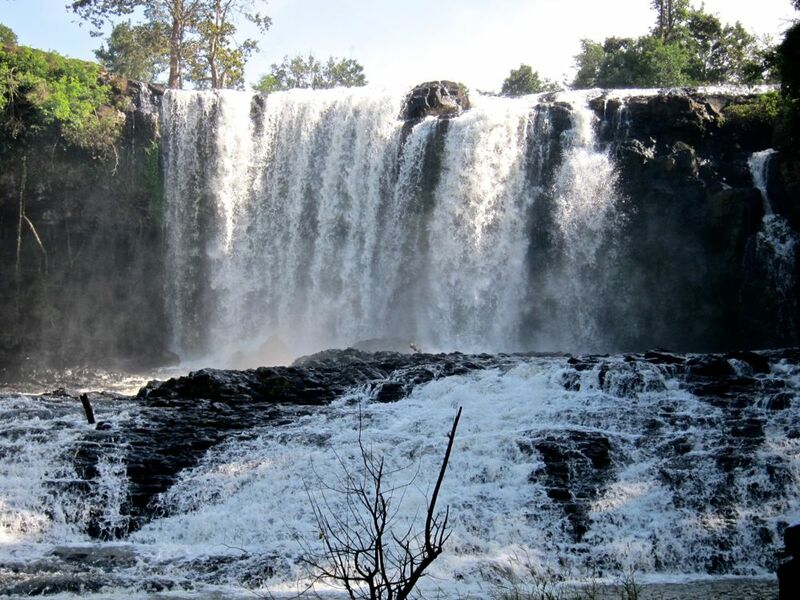 In fact, even for many Cambodians it is only now that they start to visit Mondulkiri. And you can see the pride in their faces as they look at the beautiful hills, the waterfalls and everything mother nature has given them. Summer is the time to visit and enjoy its cool temperature, misty mornings and its yet unspoilt ethnic heritage and jungles. Eco and adventure tourism is still the attraction as regular group travel has not yet clogged the streets. As you drive into the Province, you are welcomed by rolling hills and evergreens, rubber and cashew and the remains of what was once a jungle. There are still tall trees close to the road but along the highway, many areas have been cleared and planted with rubber and other plantation crops. The main street of Sen Monorom, the capital, is clean and guest houses are popping up on either side in the hopes of a future tourist boom. This is the classic rural town with a scattering of everything in brave storefronts, the big difference being that the main street is NOT the local market and the crush of daily shoppers is pushed down the side allies. Travel services are right on the street and you can book bus tickets to the world, all the way to Ho Chi Minh in Vietnam. Yes, Mondulkiri is right on Cambodia`s border with Vietnam reminding one that not so long ago, this place was an active part of the Ho Chi Minh trail where North Vietnamese soldiers and supplies crept through the jungle every night avoiding US B-52's and other aircraft. No declaration of hostilities was ever made against Cambodia, but this area maybe the most heavily bombed real estate in history. However, that's another story for another time. The Mondulkiri trip is much easier now.Recent developments have really enhanced the trip to Mondulkiri. Because of this, many Cambodians and tourists have explored the place. As the sun blisters in the plains, the hills of Mondulkii offer a refuge. You don't see the usual food stops you see in North America. You have these shops that sell freshly cooked food. Try the seafood noodle and in a hot climate, this soup can be refreshing as well as filling. There are also plenty of fruits in these places and they peel it right in front of you. The Bousra water falls cascading on granite rocks are beautiful and the water is still very clear. You can have a very refreshing swim or have your picture taken wearing traditional hill tribe costumes right in front of the falls if you are a real doofus or you can just enjoy the beauty of the falls and watch Cambodians beginning to rediscover the beauty of their country after the horror of their recent history. The province has many other falls such as the Rum Near Water Falls and the Chrey Tom and some are in private property right now so they will remain protected at the moment. Mondulkiri has been trying to protect its resources but it is getting more difficult as the world demand for food and minerals really starts to squeeze even remote places. Mondulkiri, Cambodia's biggest province is home to only about 40,000 people, 80% of whom are hill tribes such as the Phnong while the remainder are Khmer, Cambodian Chinese and Cham. The Phnong are the most numerous of the hill tribes and as such all the hill tribes are often all referred to as Phnongs. The hill tribes offer unique cultural practices and beliefs for anyone who wants to dig in. For those who are just passing by, you can have a peek at some of their homes on your way to the elephant trek in the jungle. Most of the elephant owners and mahouts are Phnongs. As it is cool in Mondulkiri, the Phnong house typically has its kitchen in the middle with the sleeping quarters on one side and storage on the other side. The cooking keeps the place warm but smokey. The houses are very simple construction, often made of grass and of round shape. They are very low, maybe to keep the warmth in as well. From the already low ceiling hang all kinds of instruments and tools which they use for their livelihood. You'll find big jars, some of which may be more than a thousand years old, and traditional gongs of various sorts used tin their worship of the spirits. These jars and gongs are among their most valuable possessions. 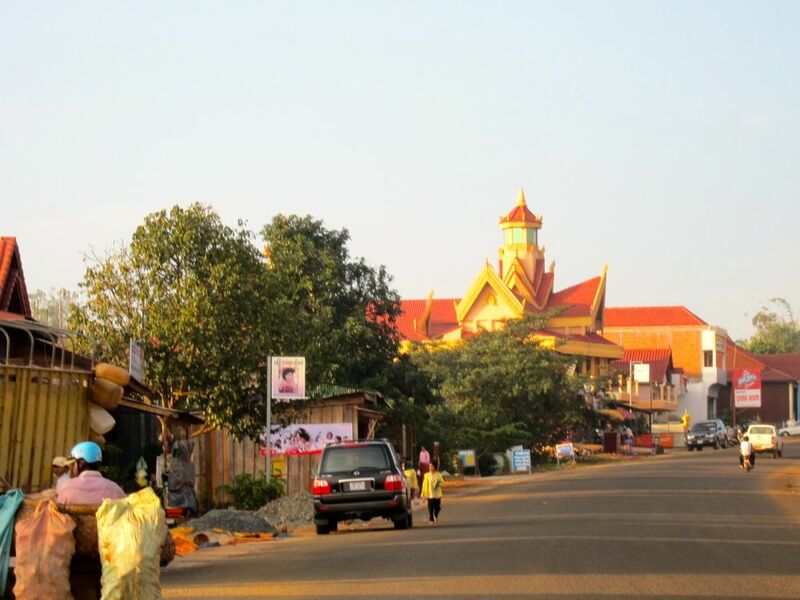 Majority of Mondulkiri's population are grouped as Phnongs, the ethnic minorities slowly being pushed out into the more remote areas as Mondulkiri develops and continues to attract entrepreneurs from other parts of Cambodia and even internationally. There is still very little study made of the indigenous and hill people in Mondulkiri. The highway leading to the province has only been completed very recently so it is only now that tourists are starting to come and the anthropologists are busy talking to each other in a bar somewhere and are still hiding. In fact, there were a number of barang (foreigners) when we were there. The place is cool and the view of the rolling hills often covered in mist is very engaging. Perched on one of the hills there, you can, on a clear day, see Vietnam and the craters where bombs were dropped during the Vietnam War. In fact, the language of the Phnong which is just oral, has a close resemblance to that of the Nams next door. There are some villages you can visit to see and chat with the hill tribes and get a sense of their lives. The closest is Pou Lung, only about 10 kilometers from Sen Monorom. Pou Trou is about 20 kms and Pou Taing about 80 kms away. You can wrestle in your own conscience with the dilemma or ruining ways of life balanced with the individual help that your money can bring in medicine and simple technology. The elephant trek to the jungle is enjoyable in the morning. This is through a thick dense bush in the classic sense and you are really wrapped in a blanket of strange sounds, and peeking spirits. ​You see the rainbow coloured wild flowers and trees being choked by vines. This is not rain forest of the Borneo sort but rather mountain jungle exchanging the wild howl of a swinging Tarzan for the orchestra of song birds filling the trees. This becomes even livelier if you get a singing mahout encouraging the elephant (or placating the spirits) with local songs and ballads. The elephants have their own stunts. Some are bamboo addicts and cannot let a clump of bamboos pass without a good snack and the mahouts have a range of incentives to get the big fellas moving. The occasional massive digestive comment by the elephant under you is a true expression of its disgust at being hustled. You will be crossing rivers that up to now are still used for bathing and clothes washing not only by the people living there but by the elephants themselves who are just so happy to have their morning bath after the trek. You can then have lunch in the village and go to a classic jungle water falls. Vot at Khmer Kitchen arranged our trek for us and we really enjoyed the experience. He is one of the 7 registered guides in Mondulkiri and he speaks very good English. His checkered past during the years of Pol Pot brings an immediate sense of Cambodia's history. 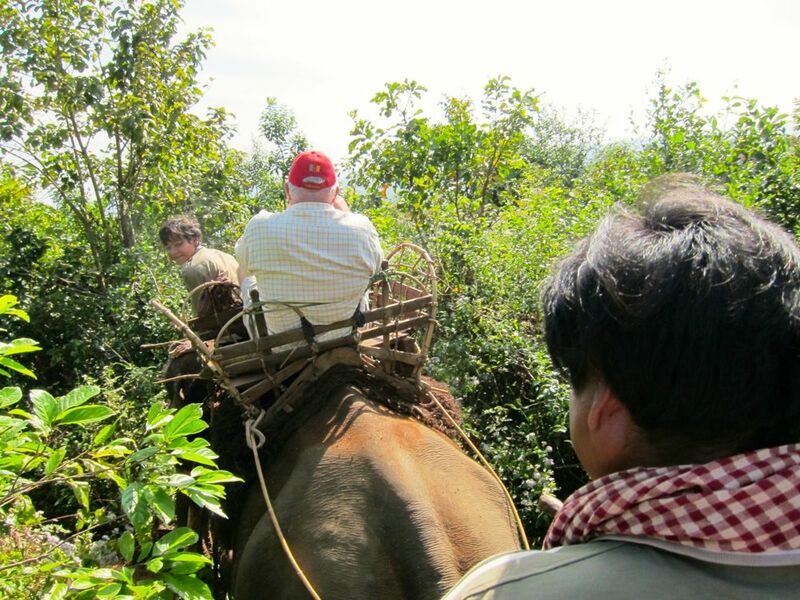 If you are a coffee buff, you can visit the now famous Mondulkiri coffee plantation and enjoy a good cup of coffee. Most coffees served in Mondulkiri restaurants are not drinkable which is a shame, but the local coffee is too expensive and some strangling, chocolaty horror from Vietnam is the brand served. I use Mondulkiri coffee now and really happy when this came into the Cambodian market as I used to buy Starbucks imported from Thailand or friends would bring drinkable brew from Switzerland or Canada. This coffee is destined to be one of the world's great finds so buy a bag while you can! Mondulkiri has some of Cambodia's wild animals and to be able to see and take pictures of these will be quite an experience. Get an experienced guide to do this and don'tr forget, phone ahead. Mr. Leopard wants to look good in the camera. Many visitors have recently taken to Mondulkiri. When we were there, we saw a tourist bus and we were with several Europeans when we went elephant trekking. There is now a growing interest in the place considering that the temperature is very temperate. They have just recently started to plant strawberries so you can enjoy some for breakfast and also feel at home with pine trees around. ​As the province has only become reasonably accessible lately, there is really just one main street in its capital city Sen Monorom. But because of the influx of tourists both local and international, the street is lined with guest houses and restaurants. There are more guest houses, lodges and hotels being built in and outside the city center but for now, there is no lack for places to stay as every entrepreneur in Mondulkiri has his sights on becoming Conrad Hilton. We stayed at the Mondulkiri Hotel on top of a hill and rented one of its bungalows. There is also the Kiri Pich Guest House that caters to every budget. And it is right on the main road. If you are the type to stay close to nature, you can go to the Nature Lodge and enjoy the walk to town. Though restaurants serve the usual Western stuff (Burritos! ), one can still taste traditional Mondulkiri dishes. Food is good in most of the restaurants we have tried. 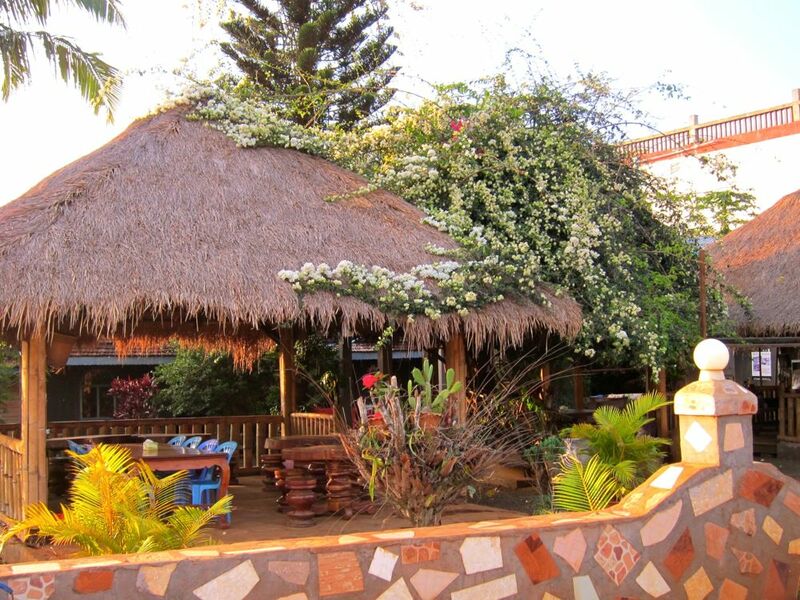 Not much fusion yet except for the Mondulkiri restaurant that serves the Mondulkiri special. It just puts everything from beef to chicken liver to pork and seafood and every vegetable available. It was good enough that we had it two nights in a row. But what I really liked is the mango salad with dried fish in the Mondulkiri Restaurant (linked to the Hotel of the same name) and the banana flower salad. ​The fish or chicken, red or green curry at Khmer Kitchen is also very tasty. They have a special banana here in Mondulkiri that is very sweet in spite of its serious green peel.